Heavy-duty 102-mm x 102-mm (4-in. x 4-in.) 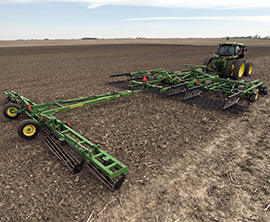 double-truss tube construction on the 200 Seedbed Finisher's mainframe and wings provides added strength and down pressure for improved leveling and consistent rolling basket depth. 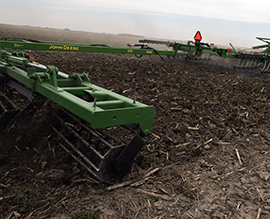 Tongue-length adjustments can be made with a simple pin adjustment on the 200 Seedbed Finisher. This makes it easy to create the desired turning radius. 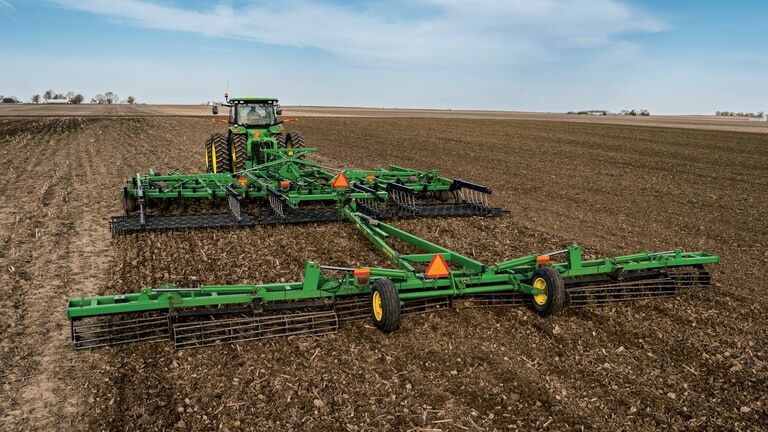 The 200 Seedbed Finisher has excellent residue-handling capability in secondary tillage. 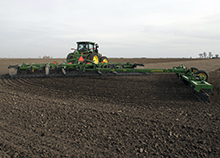 The rolling baskets and spiraling rods separate soil from root balls and uprooted weed clumps, providing a level surface for planting. 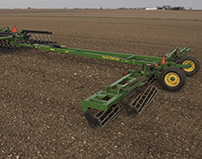 The spiraling rods are spaced to produce a soil texture to thwart crusting, firm the soil, and preserve moisture in the seed zone for good seed germination and early root growth. Each section of spiral rollers is spring cushioned to place firm pressure uniformly over uneven soil surface, facilitating good penetration and leveling.